The Renaissance is more than the famous English King, and media is just starting to realise that. The historical period of the Renaissance, when depicted in television has become nowadays synonymous with the Tudor Era, specially with the figure of Henry VIII. While his importance in History cannot be denied, sometimes it feels like his story is one that has been overrepresented in media. More precisely his relationship with Anne Boleyn (while the other five wives wait in the shadows for a proper representation of their lives). 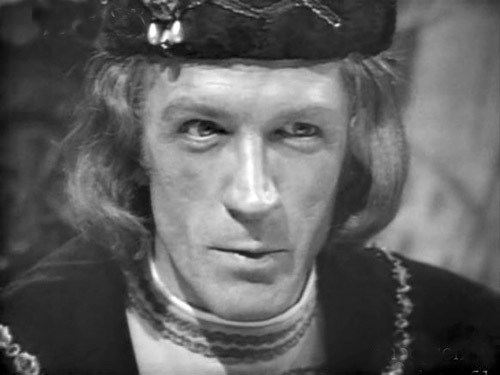 But the Renaissance was an incredibly rich period in european and world history, full to the brim of characters as colourful as those that you could find in the Tudor Court, and whose stories deserve as much exposure. These three recommendations in one might sound like cheating at first, but since the latter two act as sequels of the first, we could consider them as parts of a whole. Together, they explain the very important role that Spain came to have in the sociopolitical sphere of the Renaissance. Of course, we start with the story of Isabella of Castile, AKA the Catholic, comprised in the three seasons of Isabel, that go from her entrance at the Court of her half-brother Henry IV and her ascent to the throne, to her death. As it can be gathered from such an eventful life as that of Isabella of Castile, there is no dull moment and the series doesn’t shy away at showing the light and darkness of the life of this queen. It has a stellar cast that brings on brilliant performances, specially Michelle Jenner in the title role, but other examples to watch are Ramón Madaula as her mentor, Gonzalo Chacón (his reaction to her death is probably, in my humble opinion, one of the most heartbreaking moments in Spanish TV), or Irene Escolar as Joanna of Castile (AKA the Mad). It can also boast of great screenplays, filming on the actual locations where the historical events happened, and a display of costumes that had not been seen until that moment in Spanish TV. And even if it was released before the tv movie, Carlos, Rey Emperador acts as its secquel, narrating the reign of Charles I of Spain (Álvaro Cervantes), Joanna’s son. Even if it can boast of pretty much everything that its predecessors can, it suffers from a small but important problem: the whole reign of Charles, and many other storylines such as the courts of Francis I of France, or, yes, Henry VIII, or the voyages of Hernán Cortés, were cramped into a season. Nevertheless, I insist that the three should be considered as parts of a whole. And a highly enjoyable and informative whole at that. This was the luckiest of all finds, and the hardest too since it was impossible to get no matter the way I tried. But when I finally found it through Movistar TV, and under the Spanish title of Borgoña (No comments. ), I actually went through the whole miniseries in one sitting because it was tremendously engaging. Even if the title just focuses on one of the protagonists, Maximilian tells us the story of Maximilian of Habsburg and Mary of Burgundy. The troubles each of them was facing before their marriage and how their union, at first political, became one of love. I have to admit I knew next to nothing about them before I started watching the show (aside from them being tihe paternal grandparents of the aforementioned Charles I), but I followed their story with interest. This being helped again by performances, specially that of Christa Theret as Mary of Burgundy, who carries a lot of the emotional weight of the story. Also, the costume design and the hair department deserve special accolades because you rarely see this period done with such an accuracy in those aspects. Yes, I know. Tudors. 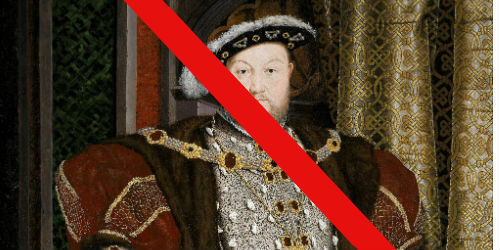 But not Henry VIII, bear with me. 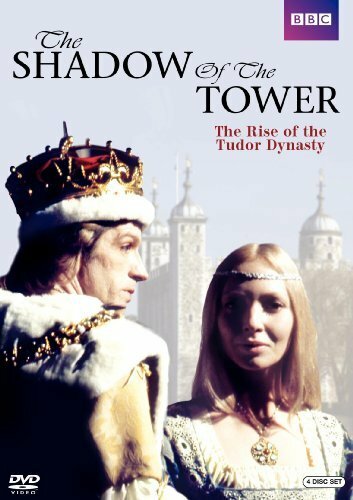 Instead, The Shadow of the Tower takes upon the story of Henry VIII’s parents, Henry VII and Elizabeth of York. The marriage that united a divided England after the Wars of the Roses. Despite of its rocky origins (He was a Lancaster, she was a York, opposing sides of the war), it was a loving marriage that managed to survive the several attempts to depose him. Even though there are also a plethora of series about the Borgias, the Medicis, the other great family of the Italian Renaissance, have not been as lucky. 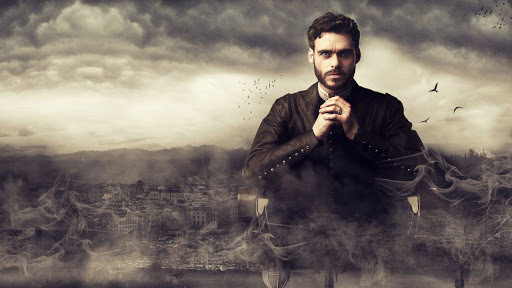 That, at least until last year, with Medici: Masters of Florence, a co-production between Italy and the USA that goes to the very beginnings of the family to tell the story of Cosimo the Elder (Richard Madden), the man who orchestrated the ascent to power of the Medici in Florence. 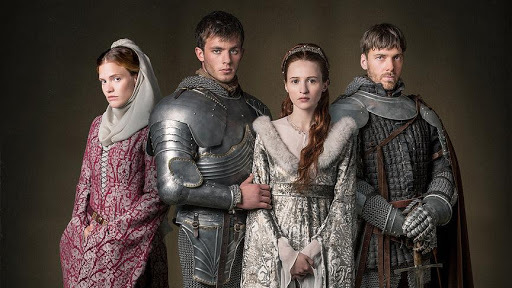 While it has its fair dose of fiction (I was surprised to learn that the story of Lorenzo, Cosimo’s brother, was very different from real life), it is a good start for the story of this family which shaped the history of not only Italy, but of Europe. 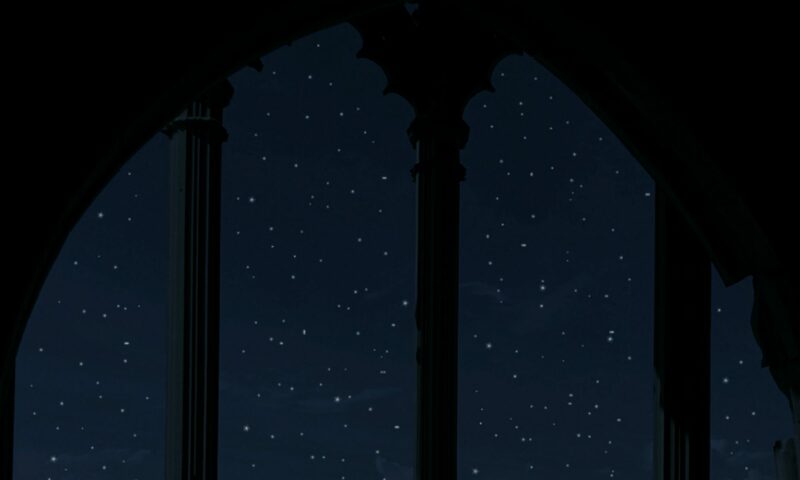 It will continue with two more seasons dedicated to the time of Lorenzo the Magnificent. The first of them will air next year. The Ottoman Empire is, to many, the great unknown of the Renaissance. At least in Spanish schools the only mention of it is when Don Juan de Austria defeated the Ottoman fleet in the Battle of Lepanto. 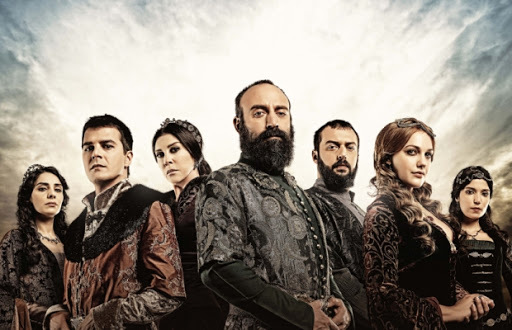 So when I caught news of Muhteşem Yüzyıl, a series about the Court of Suleyman the Magnificent, I knew I needed to watch it. While the fact it verges more into the soap opera territory than what I expected at first, and the controversy the series caused in Turkey made me slightly wary, this series is absolutely addictive and highly recommendable. To the point that I’ve watched it in Turkish despite having no idea of the language. One can only hope that producers (and some viewers) realise that they’ve pretty much have a mine of stories in this period of History, and follow the example of these shows with more variety, and not the same old, same old. Because the Renaissance is worth it.